Industrial painting is a highly-specialised process with unique requirements; including the preparation of surfaces for the application of protective coatings. Key environment and atmospheric factors, such as humidity and temperature levels can affect adhesion, chemical bonding and wear resistance, which in turn can minimise the cost efficiency and increase long-term maintenance. 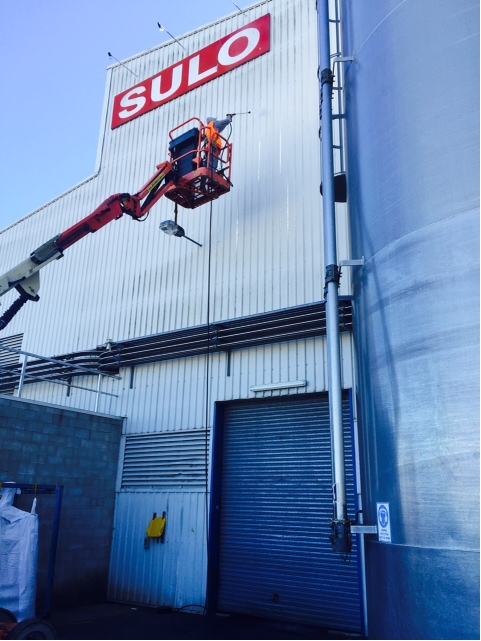 We offer a comprehensive range of quality controlled, tailored industrial coating applications, taking into consideration localised environmental and atmospheric conditions. Our coating selection process is dependent on adhesion, chemical bonding and wear resistance, maintenance and cost efficiency factors. Our processes ensure a safe working environment by making use of the most efficient access, preparation, and industrial painting systems. We also leverage the most suitable commercial grade coatings available to each project to ensure the best outcomes. We actively strive to approach all industrial projects with due consideration to the unique access and application techniques we have available to us. We are committed to delivering consistently high quality service; leveraging relationships with some of Sydney's highest quality third party suppliers to save clients time, money and hassle. Pro-Asset is also able to provide one-off repaints and commercial painting maintenance programs tailored to suit your needs. We understand that your business needs to continue running with minimum interruption, so we offer the potential to have painting carried out outside-of-hours or during shut-down periods if necessary. 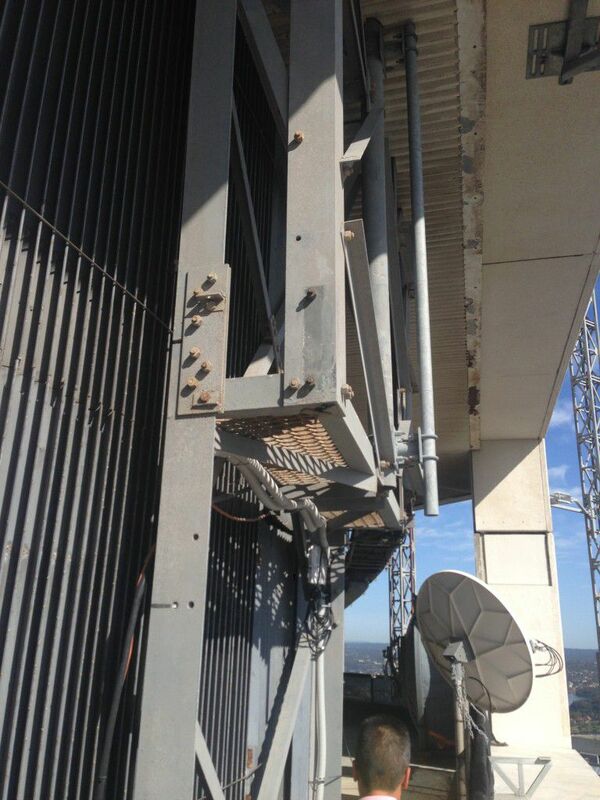 Pro-Asset was contacted to complete structural steel and cable trays corrosion mitigation work on Sydney's MLC Centre. 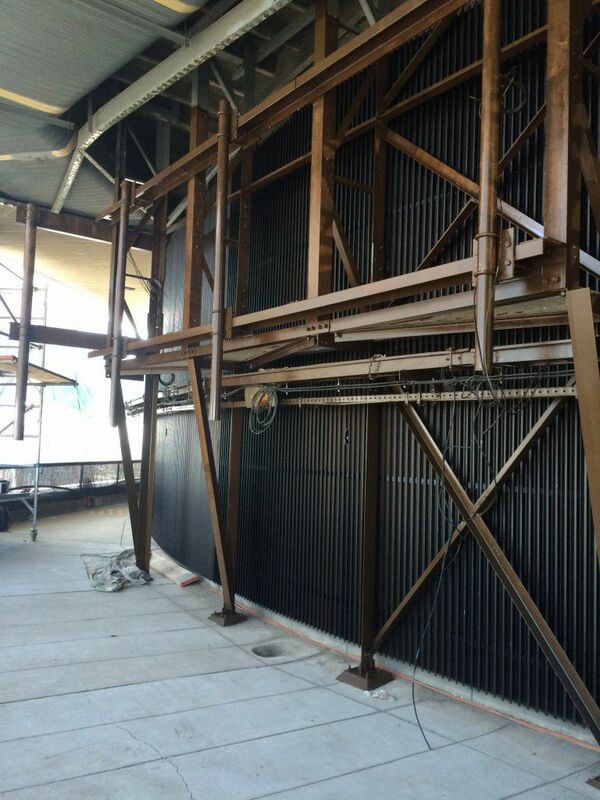 This job incorporated a large volume of corrosion mitigation work. The structural steel on the 54th level of the external side of the plant room was in need of repair and coating to protect against ongoing element corrosion. A limited time was allowed for painting works to be completed as the scaffold was only available for a short period of time. As part of the billion-dollar refurbishment of an iconic Sydney building, Work Health and Safety was of the upmost importance as we approached work on the 54th floor of the building. Pro-Asset was called in specifically by the onsite WHS Manager to ensure a safe, reliable and professional repaint of their plant room structural steel and cable trays. The challenges of this project extended to its location on level 54. As the cable trays have live Telco and Channel 7 cabling, due care had to be taken to ensure no damage to the cable infrastructure. There was also an air intact area close-by, meaning works needed to be done outside hours around these sensitive areas to ensure no fumes would enter the building air conditioning system. The physical scale of the project meant that painters needed to work in pairs at all times. 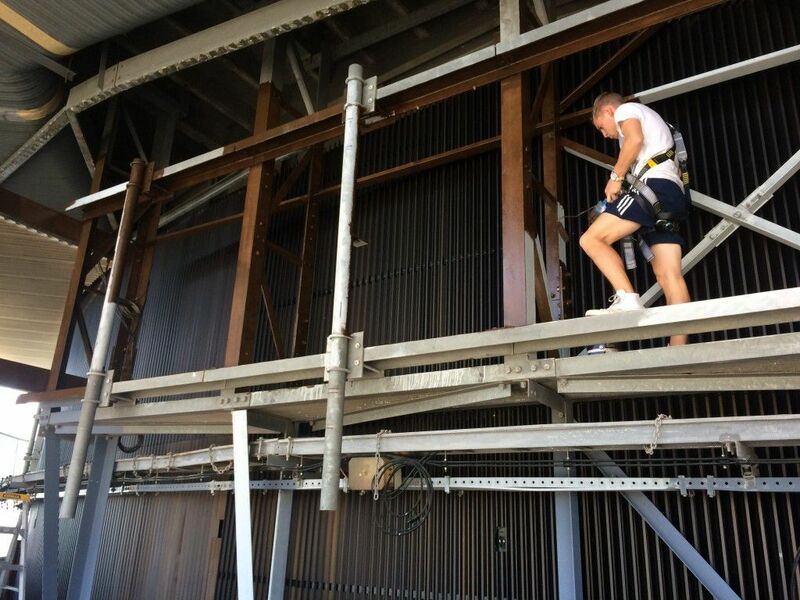 Harnesses were worn and clipped on prior to using the external balcony. All tools were fixed by lanyards to each worker to ensure maximum safety. Pro-Asset was able to safely complete the works within the allocated time frame. The corrosion was mitigated, giving the Centre a greatly extended life span. We are now one of the preferred Commercial Painters for the MLC Centre.